Anything else you would like to add to your background? I sold my partnership share in the Accounting and Financial Planning practice in 2013 to start trading full-time. I was fortunate to be able to work part-time for the next two years and simultaneously trade. My plan was to see if trading for a living was going to work for me. In my experience, it is extremely important to not put pressure on yourself to get great results from the market whilst you are learning and developing your experience, as pressure to generate income causes a lot of stress and anxiety. Over these two years, I learnt heaps about myself and trading, which allowed me to become more con dent. It gave me the peace of mind that I was not only going to survive, but also achieve my goal of trading for a living. How and when did you first become interested in the markets? I have had an interest in the markets since early 2000. However, it was more from a fundamental analysis perspective, as my background in accounting indicated this was the only way to look at the markets – how wrong I was! Once a month in Bendigo, we have a Financial Planners luncheon and we invite guest speakers. 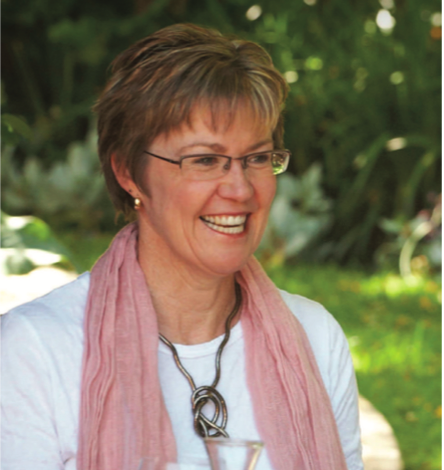 Early 2010 our guest speaker was Janine Cox- Senior Analyst and trader from Wealth Within. In her talk, Janine spoke about analysing the share market from a technical perspective. For me this was all very new and fascinating. I was surprised at how technical analysis seemed to be a much more common sense way of looking at a market and how price moves. I learned that prices are driven by people’s emotions (how obvious), and you can analyse company charts on the basis that there is a high probability for the market to repeat the past in the future. She also shared that every share has its own style and pattern, and once you have nailed it, you can confidently trade it. Janine’s talk had me hooked and I needed to know more. After researching and reviewing what courses there were out there to learn about technical trading, I decided to give Janine a ring to discuss the course that Wealth Within offered. I chose to undertake their Diploma of Share Trading and Investment course as it ticked all the boxes I was looking for. I think it’s extremely important if you want to learn a new career to ensure you are as educated as you can possibly be. This is even more critical with the share market, as you can quickly lose all the money you have earnt and saved over the years. Why would you risk all that by just reading a few books? I tried that in 2004 and for me that was not a good experience. Unfortunately, the bad experience kept me out of the share market for several years. Who hasn’t?! My first mistake was not getting properly educated when I started in the share market. I thought I could read a book about options, open an account and trade them successfully. Well, it only took one day to lose $1,000 and this was followed by no sleep from the stress it caused. After that experience I decided that trading options without the right knowledge wasn’t worth the effort!! Another common mistake was not pulling the trigger on a stop loss and thinking “surely it will go up again”. Well, it seems it often doesn’t go up again, and in many cases, not for a very long time! Now I know better and so allow myself to have losses, as this is part of being a trader. I also celebrate those losses because I’m proud of myself for being able to exit. Would you de ne yourself as a discretionary trader, a mechanical trader or a combination of both? A mixture of both. I think the longer you trade, the more in-tune you become with the momentum and mood of the market. However, this is also based on the education I have received and experience I gained, which means I can trade more intuitively. I do have set goals for myself and have been achieving them. It is very important for any trader wanting to be successful to have the discipline to set goals and then put in the time and effort to achieve them. For me it was the staff at Wealth Within who supported me through my course, in particular Janine, Kay, Jennie and Dale. I have also made some fabulous friends at Wealth Within’s 2 1⁄2 days trader’s workshop retreat that I attend each year. It is such a great help to keep in touch with traders who have done what you have done, to share experiences and regularly bounce ideas and thoughts around. My style is based on the timeframe of my trading, whether it is shorter term in my Trust or longer term in my SMSF. The time frame dictates whether I analyse more on the daily, weekly or monthly charts and what I apply to those charts. That said, I always trade with the longer term trend unless it’s going to be a very quick trade. The more you study technical analysis and apply the principles, the more you develop your own style of what you see as important. This allows you to get more of a gut feel for what the share is doing. To be honest, I don’t study the share for days. I study it for a few hours, as you can get a pretty good idea what the share is like without spending a lot of time on it. If you spend too much time on one share, you’ll probably never end up trading. My goal was to have more free time, not to fill it up by always analysing trades. I could write a book on this! Following my money management rules, I put 10% of my capital into WOW (Woolworths) and had a stop loss worked out at 15%. I pulled the trigger and exited at 14%. All my rules were followed but the amount lost was quite considerable and I didn’t feel comfortable that. The lesson here was, if you are not comfortable with the amount you may lose when you set your stop loss, say somewhere between 10-15%, then lower the amount you invest in the share (how obvious!). Once you are satisfied that the trend your analysis has identified is unfolding, then add to the position. Some of my earlier losses were quite large so I quickly learnt to lower the investment amount until I was comfortable, and then add to it. Sometimes it’s not the best or worst trades, it’s the trades you don’t enter because your analysis tells you that it is at a crossroads. A recent example is FMG (Fortescue Metal Group), which tried to get through a very important price level of 50% of the all-time high. Through November 2016, February and March 2017 it has consistently tried to do so, however, it continues to struggle. Therefore, I thought I would only buy once it has a strong close above this level. At the time of writing, it has dropped 30% from the February 17 high. I’m a strong believer in keeping it simple (KISS principle). Back on 30 January 2015, I bought TOL (Toll Holdings) for $6.20 as a DOW entry was triggered and it went through a previous resistance point from 13 February 2015. 20 days later the price spiked and I got out with a 44% pro t. I was asked how I knew there would be a take- over bid on the stock. I didn’t, I just saw an opportunity, followed my rules and entered the trade. Would you classify yourself as a short-term or a long- term trader? What advice would you offer to people getting started as traders on the relative merits or otherwise of each? I am both. I have a SMSF portfolio that is long term to accumulate wealth for retirement and a Family Trust that I trade short term for income. By short term I don’t mean day trading, typically I mean somewhere between one week and 3 months. You need to work out what your goals are, as that helps you determine what type of trading you will do and the strategy that’s best for you. I currently trade the ASX top 200 and particularly like the midcaps. There is good volatility in these shares and higher volume is traded for most shares within this group than some of the smaller companies. Companies within the top 200 are normally more solid and have a lower risk of going belly up. I’ve made some great pro ts from some of these shares. Longer term, I’m interested in getting into CFD’s. I have also completed a course in CFD’s with Wealth Within, but have not had the time to dedicate to practicing before I start putting in my hard earned cash. My plan was to focus on using cash rst, to gain more experience and build the value of my SMSF portfolio and my income account before using leverage. I don’t think I have quite nailed my trading style yet, it would be hard to write a book about what I do exactly. I would say that I am a flexible trader who sees opportunities and has the courage and confidence to trade them. This allows me to switch my thinking from a medium to long term style to shorter term trading. I use two different styles in parallel to achieve two different goals. Some traders see themselves as having one particular style, however, when you have confidence in the knowledge you have and in your ability to apply that knowledge, you can learn to have more than one style. This allows you to be flexible and adapt to the changing market conditions. Not exactly, but after I have analysed a share and there are more positives than negatives, I will put on a trade. I have observed many people who have analysed a share to death and can’t make a conclusion either way. If you want to make money, you need to trade. However, you must limit your loss or you won’t be around very long. So, I guess my favourite rule is the importance of using stop losses! Currently, I am making enough cash per month for my husband and me to live comfortably. Therefore, I achieved the goal I set at the start of this journey. The bonus is that I love analysing shares and trading the market. How many people can say they love what they do? I spend approximately two hours a day on share trading and I am able to volunteer my time as a voluntary treasurer for three not-for-profit organisations in Bendigo. I also created a not-for-pro t support group for “Women in Figures”. The Accounting/Financial Planning industry is dominated by males. So, females need their own space and support with other like-minded women. Within the Bendigo region we have 120 females who participate in our various events. Educate yourself before you invest in the markets. I can highly recommend Wealth Within and their Diploma of Share Trading and Investment. The course has learning activities that ensure you know the topics and more importantly can apply the analysis. The government accreditation of the course means you get assignments to hand in and an online exam to enhance the experience. It’s also the great support you receive from their team when you start applying what you have learnt to the stocks you want to trade. I have also read many psychology books on trading, which helps you understand your trading style, why you do what you do and how things could be improved. 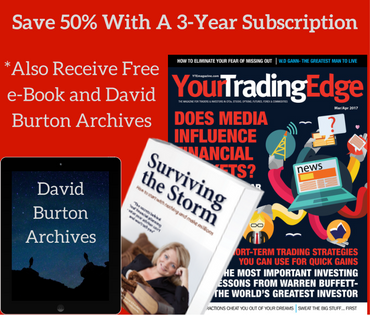 Mark Douglas has a couple of great books on the psychology of trading that are invaluable. I’m looking forward to being able to trade CFD’s and we are off to Europe for a well-earned holiday later this year. Flexibility with time is what has attracted me to share trading. It’s something I had been striving for at my previous job in Accounting and Financial Planning.